Nothing “straight laced” about these flamboyant ruffles. 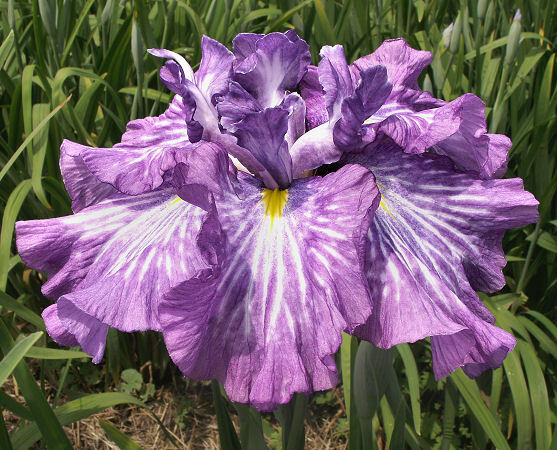 Wavy reddish violet petals are heavily veined with white rays emanating from the yellow signal. Multiple light styles with ruffled crests.